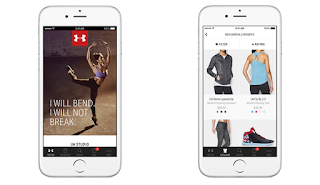 Baltimore-based athletic apparel company Under Armour debuted a new app dedicated to "elevating the consumer shopping experience." The app will use customer data to make more accurate suggestions for shoes and apparel, even drawing in the data from existing accounts on MapMyRun and MyFitnessPal to learn users' athletic habits. Running in warm weather will suggest short-sleeve running tops, for example. Click here to read more. 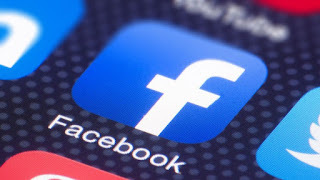 If an item on Facebook's news feed piques the interest of a user and they'd like to point it out to a friend, the usual method was to tag the friend in the comments section so they'd get an alert. Facebook is now testing a newer, more discreet method where users can "Notify a few friends about this post" without the post being considered as content for the friends' Facebook page. Click here to read more. Thailand's LMG Insurance teamed up with BBDO Thailand to create Safe&Sound, a music app that uses GPS to lower earbud volume when the wearer nears roads or railways. The app also uses the phone's microphone to add the street's sounds into your earbuds at 30 percent volume for greater auditory awareness of surroundings. Click here to read more. Europe's "right to be forgotten" has long been held as strong privacy law, but an academic team has found faults in the operations of the internet privacy regulations. The researchers were able to find records of individuals who had expressly asked to be removed from search results using basic coding. Their research will be presented in July. Click here to read more. An Australian mom saw her daughter turning blue on a baby monitor and dropped her phone en route to check on the child. When the mom realized she needed medical help and didn't have her phone, the iPhone's voice-activated "Hey Siri" function allowed the mom to call for an ambulance – which made it in time to save the one-year-old. Click here to read more. Eric Tejeda is the Director of Product Marketing for PossibleNOW and CompliancePoint. Eric supports the organization’s growth objectives by productizing and launching innovative new products and services that fill critical needs in the marketplace. 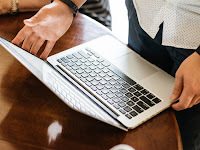 With 25 years of experience, Eric firmly believes that permission-based marketing and preference management is a mega trend and the path to success for marketers today.